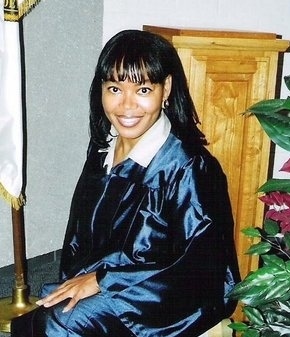 Accomplishments: GED,College, Paralegal Diploma, Cosmetology license, Cosmo Instructor license, Change Program, Introduction to Psychology, Industrial Housekeeper with the Department of Labor, Advanced Psychology; Theology In Church Ministries, 18 months Residential Life Connections Program, Computer Peripheral Operator, Associate, Bachelor and Master’s Degree in Pastoral Ministry. I am asking for mercy for things that I have done which I am both remorseful for and ashamed of. I basically aided and abetted my brother and cousin after the fact – without knowledge of what they had done because I was blinded by loyalty. I also participated in a drug transaction. I was 20 years old and I understand my loyalty was misguided and wrong. I never should have involved myself in anything related to drugs or the drug trade. I did NOT know about, nor was I ever exposed to any violence, and yet, that is why I am serving Life. Because of the “conspiracy” I was held responsible for the actions of others that were deplorable. I was arrested on a state case for accessory after the fact due to actions committed by my brother and cousin in a drug deal that went bad. I drove up to my house when they were cleaning a car and my brother asked me to dispose of his clothing which had blood on it. I was arrested on state charges, plead no contest to accessory after the fact and was given no time. Seven months later I was indicted for conspiracy in a federal case under Pinkerton and put into an indictment with a group of people and was held responsible for everything they did which included some horrid things. My involvement consisted solely of being a “mule” that involved two trips to the Bahamas. Everything from the state charges were included in the federal case which mandated a life sentence. I wish I had never been exposed to or participated in any of this but I was and I must take responsibility for my actions. I was given an offer to serve 10 years if I cooperated, and although I wish I had accepted that offer, I was frightened and wrongfully remained loyal to the people I trusted. I hope and pray that what I did when I was 20 will not define me for the rest of my life and mandate a death sentence. I’ve read that people who commit murder, even in the state of Texas, face 5 to 99 years. I never killed anyone, yet, due to the conspiracy statute, I’ve been held responsible for the actions of others and given a Life sentence. My father and mother are sickly (they both have diabetes) and my mother has a breast problem. My father is 80 and my mother is 73 years old. Both need me at home. I am a liturgical dancer for the church. I attend bible study. 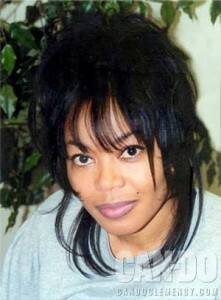 Since my incarceration, I lost my Grandmother, Uncle, and one of my brothers. I have been diagnosed with sickle cell anemia. I know I can be a productive member of society and pray I will be given a second chance but in the meantime I will continue to do what I can within these prison walls to prove that I am worthy of that second chance. Freedom is a precious gift that I will always cherish if given that opportunity to participate in a life that will make others proud of me. 45 queries in 0.148 seconds.